Have you seen Timothy speak? Leave a review. Computer engineer, Dr. Timothy Chou has been on the front line of cloud computing and IoT throughout the 20-30 year course of their development. Dr. Chou is Chair of IoT at Alchemist Accelerator, former President of Oracle, and has served as a lecturer at Stanford for over 30 years. Dr. Chou helps leaders and businesses understand the current state of IoT, AI, and cloud computing, where these technologies are going, and how to implement them in your organization for maximum results. Cloud computing trailblazer, Dr. Timothy Chou has been helping organizations understand and implement new technologies since 1999. 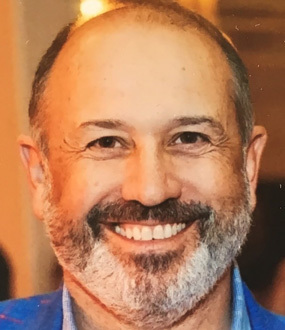 He is a long-time lecturer at Stanford University, Chairman of IoT at Alchemist Accelerator, and a board member at tech heavyweight Teradata and Blackbaud, a $600M vertical application software company. Dr. Chou served as director of one of the original Silicon Valley startups, Tandem Computers, for 12 years. He later served as President of Oracle On Demand, where he exponentially drove the cloud business’s growth, contributing to its current $2 billion + value. 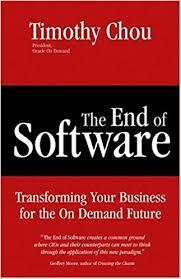 Dr. Chou is author of the landmark book The End of Software, one of the first works to describe the shift to cloud computing. His book Precision: Principals, Practices and Solutions for the Internet of Things was recently named one of the top ten books for CIOs. Dr. Timothy Chou, an expert in IoT, AI, and Cloud Computing, has had a front seat working with the leaders in industries who are realizing the value from the merger of physical and digital. Dr. Chou helps to demystify the processes behind getting better outcomes. It is no secret that technology brings change – fast. And it has been proven that the businesses that are able to embrace the change and use it to their advantage are the ones that survive and thrive. We are in the moment where technology is leading business strategy. That means that leaders need to rapidly embrace and understand how technology can and should affect their business. Dr. Chou is a powerful speaker who combines a deep understanding of technology as well as people, processes and business priorities. 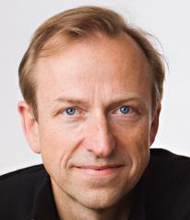 He knows how people digest information and has a compelling delivery style that supports a credible, provocative voice in a crowed space of technology voices. His talks are customized for each industry. It is estimated that by 2025, 500 billion things will be connected to the Internet. Dr. Timothy Chou takes a look at the new opportunities the IoT will open; the innovations that are making this gigantic expansion possible, and the hurdles that still need to be overcome. From windmills to super pills to machines one mile under the ground, things have a far greater capacity than people in regard to where they can physically be and how much and how often they can transmit data. Up until now, however, most software and the technology we use to transmit data has been designed with human users in mind. Now contrast that with an example from the IoT world. Today’s breakthrough technologies have been works-in-progress for the past 20 to 30 years, and that whole time, Dr. Timothy Chou has been on the front lines of those advances. One of the most knowledgeable experts on cloud computing, IoT, and AI, Dr. Chou helps organizations understand where these technologies are right now, where their going, and what your business can do to harness their full potential. 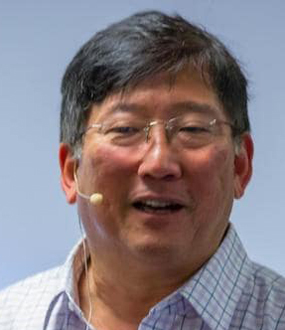 A professor at Stanford since 1982 and a globally in-demand speaker whose presented on six continents, Dr. Chou is well-versed at connecting with a variety of audiences with diverse levels of technical literacy. In this talk Dr. Chou presents a five-layer framework to help business and technical people understand the current and future state of the art in IoT software. Leaders will learn how technology will reshape enterprises that build machines and those that use machines. Enterprise Artificial Intelligence (AI) has had significant advances in the past couple years. Whether it be Alexa voice recognition or Facebook facial recognition it’s happening faster than anyone predicted. What does this mean for Enterprise Computing? This talk will focus on the three significant changes in neural networks, deep learning and the machine learning life cycle that have enabled these amazing leaps. Dr. Chou will show you how the next generation of enterprise analytics will be based on Artificial Intelligence and not Business Intelligence. While software and hardware technology has evolved at a meteoric rate over the past three decades, the more significant changes have been driven by economics and the resulting creation of new business models. In this talk Dr. Chou will present seven key business models and discuss how these models have completely reshaped the software industry. 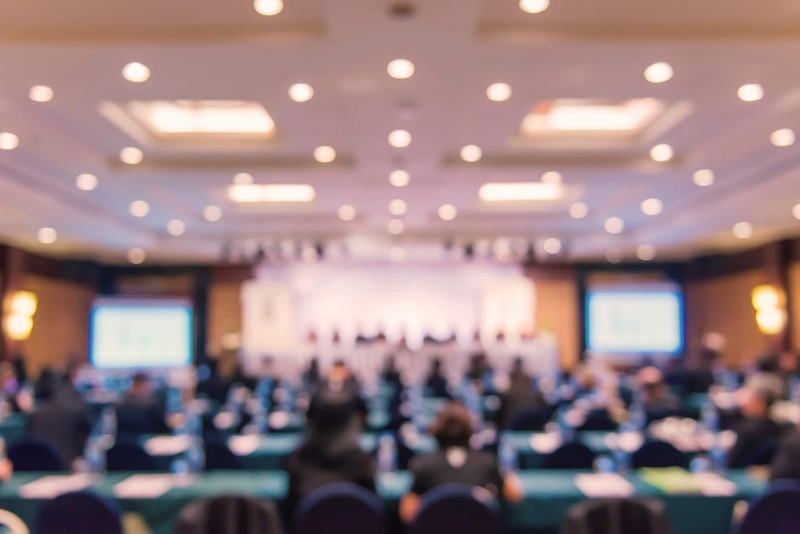 As almost every business is becoming a software business, Dr. Chou will discuss by showing how these business models might change every industry from transportation to construction. You can’t go thru any airport or watch any sporting event without seeing the word “cloud computing”. Dr. Chou will explain cloud computing in a way you could describe to your Facebook friends. 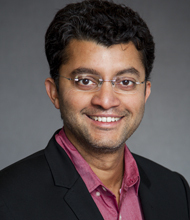 He will cover six major categories starting at the network and moving up to the application layer and will focus on how cloud computing will affect every industry from financial services to retail and from agriculture to power generation. 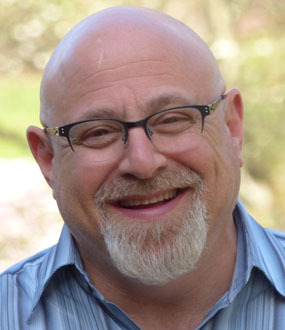 This talk will focus on eight technologies that could reshape long term care: augmented reality, robotics, virtual reality, telemedicine, telepsychiatry, wearables, artificial intelligence and smart homes. What are they, how are they being used, and what does the future hold? You may not be sure why your coffee pot should talk to your toaster, but precision technology powering an industrial Internet of Things has the potential to reshape the planet. To help clarify, Dr. Timothy Chou has created Precision to introduce us to the basics of the industrial Internet of Things (IoT). The first part – Precision: Principles and Practices – introduces a vendor-neutral, acronym-free framework. Dr. Chou then discusses the framework’s fundamental principles and these principles put into practice. 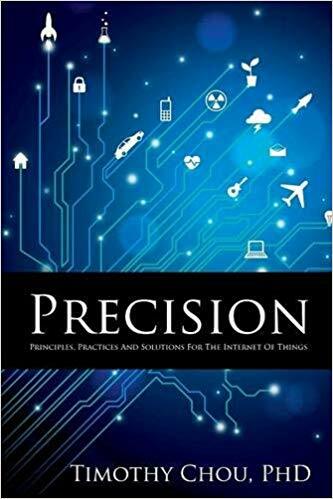 The second part – Precision: Solutions – puts Dr. Chou’s IoT framework into practice highlighting 14 real world solutions for manufacturers who are building precision machines and companies utilizing these machines to receive precision enhanced business outcomes. Case studies discussed span a number of industries such as power, water, healthcare, transportation, oil & gas, construction, agriculture, gene sequencers, mining and race cars. 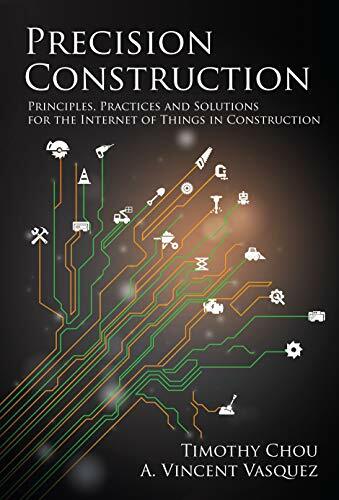 Precision Construction introduces the digital transformation for construction, teaching the Internet of Things (IoT) fundamentals with a construction industry focus. Precision Construction provides a vendor-neutral, acronym-free framework for understanding IoT. Illustrated through eight real-world case story solutions, Precision Construction describes how IoT and emerging technologies like augmented reality and robotics are improving business for contractors, rental companies, manufacturers and suppliers. Precision Construction was written with the help, knowledge and experience from 22 leaders (whom we call co-storytellers) in the construction industry. Do you know what is the real cost of your software? Before you reach for a calculator, be forewarned that it’s a trick question. Even technology industry analysts and seasoned IT executives have difficulty putting a hard figure on the Total Cost of Ownership (TCO) of today’s enterprise application solutions. What makes the equation so tricky is the sheer number of variables that must be factored in, many of which cannot be lined up in a neat column and reconciled, such as issues of security, availability, performance, problem resolution and change management. The End of Software: Transforming Your Business for the On Demand Future, by Dr. Timothy Chou, is a groundbreaking book for business managers and executives that challenges conventional approaches to business software and proposes new alternatives to managing and maintaining the systems that companies depend on.